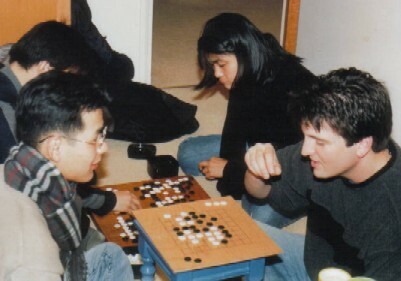 You can play Go at home, at work, in public or private at a club, on line or over the board, against a person or a computer; a game of Go can be enjoyed almost anytime. With a magnetic set or computer/tablet you can play whilst travelling or on a day out; indeed a game was once played on the space shuttle. For a more formal game there are many tournaments and matches you can join in at locations all around the country. 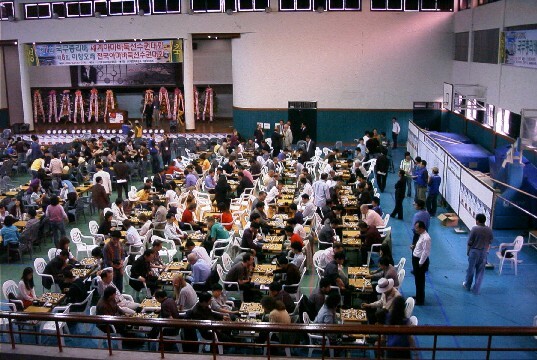 You can play Go informally at home or with friends, but being part of a club means you will probably have a chance to play more different opponents. There are many clubs around the British Isles, with most big cities having a club; some cities have more than one club. Have a look at the club map. Some clubs meet in private houses. Others meet in public venues such as a community centre. 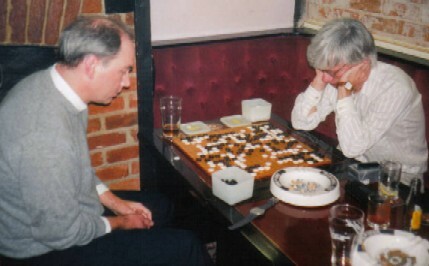 Often a pub provides a free location to play, provided you partake of their food and drink. If there is a university in your town it is sometimes possible to play there, especially if there are several students in the club. You might think that there will be no-one your strength at a club, but don't worry: if there isn't, someone friendly will be happy to play a handicap game against you and give you a bit of tuition! We're actually a very social community. If there isn't a club in an area please check our requests page to see if anyone is trying to form one already or email our Membership Secretary (mem@britgo.org) for a contact. We also provide some information to help you organise a club on our Organisers Material page (some information is for members only). Obviously playing online is a recent innovation and growing in popularity; either against another person or a computer. Indeed many people who do attend a club play online as well so as to get more games during the week and meet a variety of opponents. You can play online against players from all over the world any time day or night, so it is very flexible and may suit you if you keep odd hours. You can play in real time, which is the most common way, or play correspondence Go on some servers. There are several online servers, some of which are more popular in the UK than others. Don't worry about the strength of potential opponents: there's always someone available at a comparable strength online, so you can play non-handicap games day or night. 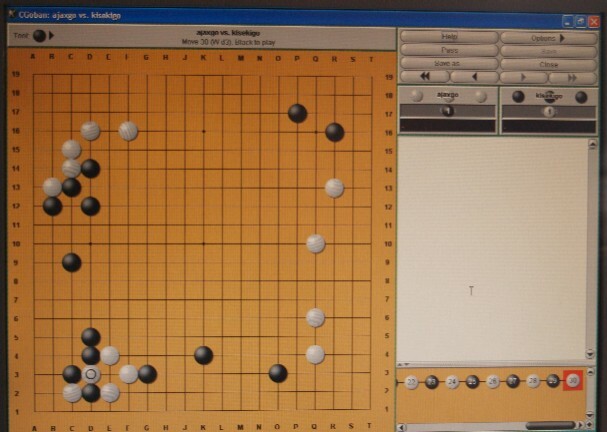 If you are new to Go a good way to practice, without the embarassment of a real opponent, is to play a computer program. 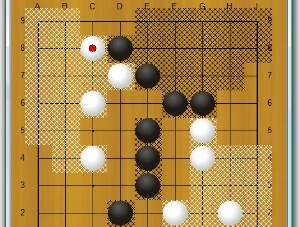 Although publicly available Go-playing programs are not up to the standards of experienced human players, especially on the 19x19 board, they can provide some useful practice opportunities on small boards, especially 9x9. Free programs suitable for beginners are Igowin (Igowin Tutor for iPad/iPhone) and Peter's Go, and Leela is dan level (even on 9x9). We have reviews here of some of the best-known programs. There are also approximately 30 tournaments every year in the UK, with similar numbers in other major European countries and the USA; many more in Japan, China and Korea. Nearly all of these are suitable for relatively novice players to enter and some of them specifically cater for beginners. Most of these tournaments are one or two day events at the weekend, typically with 3 rounds per day. Some of these also have specific teaching sessions, but anyway there will be people who will happily review your game for you after each round. We typically organise tournaments so that players will play others of roughly the same strength, so do not hesitate and just jump in! Look at our Events Calendar for UK tournaments and contact the organiser if you are hesitant about entering. They will provide good advice for you. You will need an approximate grade to enter a tournament, but afterwards you will have a rating, as described under Tournament Participation.